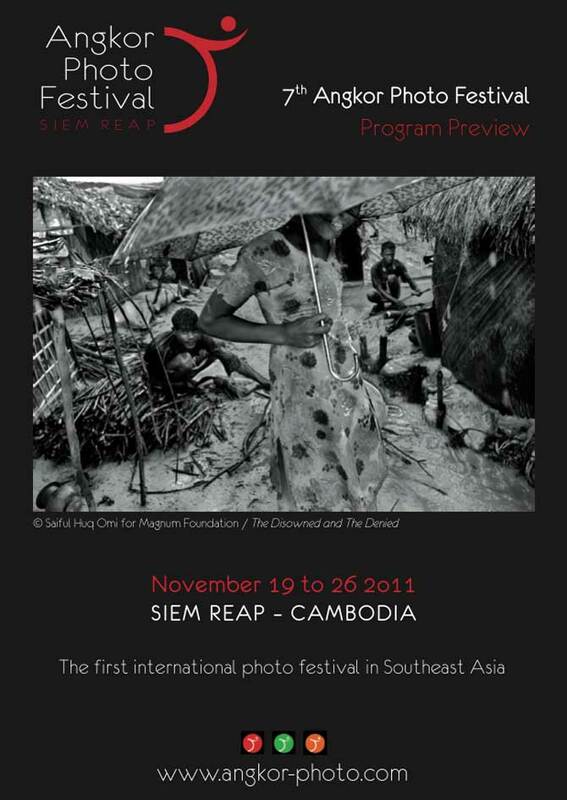 The 7th Angkor Photo Festival will take place in Siem Reap from 19 to 26 November 2011. Created in 2005, the Angkor Photo Festival is the first photography festival to be held in Southeast Asia. Each year the weeklong event features exhibitions and outdoor slideshows by celebrated and emerging photographers in Siem Reap. The strong educational goals of the Angkor Photo Festival sets it apart from other photography events. At the free Angkor Photo Workshops, renowned photographers tutor emerging Asian photographers, while the festival operates its own outreach program, the Anjali Children’s Photo Workshops.